Learn the Dunns osteotomy surgical technique with step by step instructions on OrthOracle. Our e-learning platform contains high resolution images and a certified CME of the Dunns osteotomy surgical procedure. Severe grade II/III unstable slipped upper femoral epiphysis (SUFE/SCFE) is associated with high rates of avascular necrosis (AVN). Historically rates as high as 50% have been quoted. In view of this there has been a tendency to perform the simplest and (perceived) least risky operation. This is generally held to be pinning in situ. The Dunn osteotomy was described for stable and unstable SUFE. The osteotomy is performed at the level of the physis. Subsequent authors generally failed to match the results of the original author. 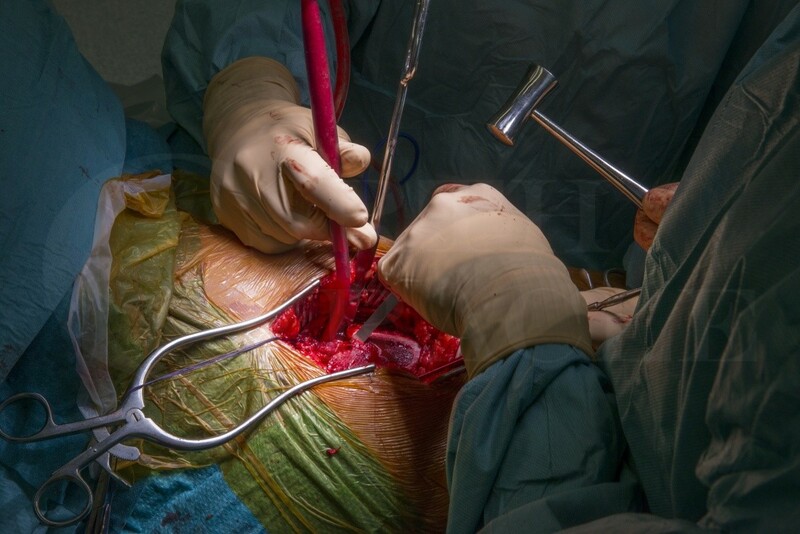 However, the advent of the trochanteric flip osteotomy and extended reticular flaps as described by Ganz has reignited interest and the ‘modified’ Dunn osteotomy has had encouraging results in the hands of high volume surgeons. The classic modified Dunn osteotomy requires division of the ligament trees and dislocation of the femoral head. We describe an alternative method where by the femoral head is not dislocated and the ligamentum trees is preserved.